Popular, safe, and effective, teeth whitening (teeth bleaching) has given patients across Texas a reason to smile. Your appearance can affect you socially, emotionally, and even in business successes. People who smile with confidence are viewed as warm, inviting, and beautiful. Pasadena, Texas Dentist Dr. Nugent can help you achieve the beautiful white smiles of magazine models and movie stars. Teeth whitening is one of the easiest Cosmetic Dentistry procedures. Teeth are harder than bone. However, teeth are porous. Thus, over time any foods or liquids that have color will stain your teeth. Even if you brush and floss daily, stains can tarnish your beautiful smile and lower your self confidence. With At Home Teeth Whitening you can create a beautiful smile. Molds are made of your teeth and custom bleaching trays are make. Then you are given instructions on the use of your bleaching trays. 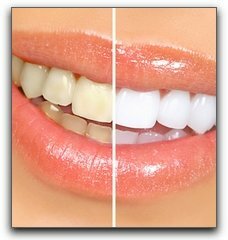 Usually the bleaching trays are worn for 15 minutes a day for 2 weeks. Once you notice your smile not getting any whiter then you are done. You have bleached your teeth as white as they will get. Now comes the easy part of the at home teeth bleaching. When you notice your smile is not as white as it was, then you simply bleach for 1 or 2 days to restore you smile to a dazzling white! Contact Michael Nugent, DDS in Pasadena Texas to learn more, including teeth whitening costs, at (713) 941-8261 or click here to make an appointment online. Dr. Nugent is a General Dentist in Pasadena, Texas. His office is located at 3421 Burke Rd Ste A, Dr. Nugent is an award winning dentist that has a strong focus on Cosmetic, Implant and Sedation Dentistry.